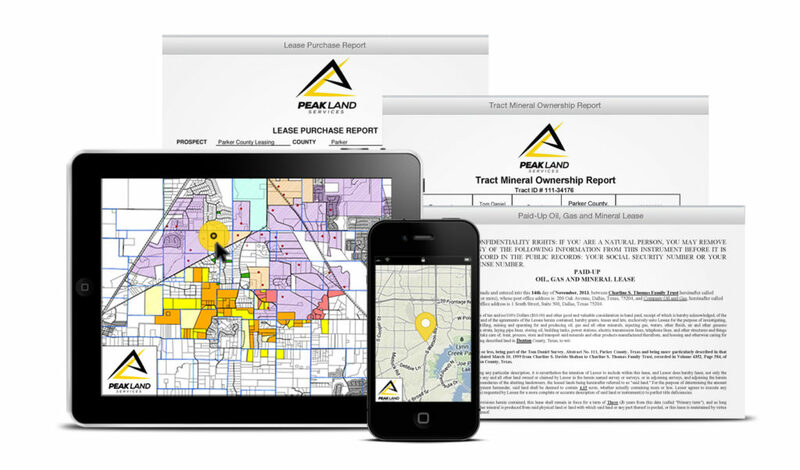 Peak Land Services builds custom GIS maps as simple or as complex as the client desires. 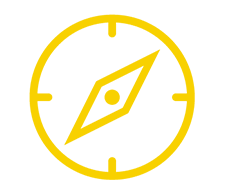 Whether it’s creating maps for presentations or marketing purposes, managing your existing assets, or managing your next project with Smartmap Management, we’ve got you covered. As one of the leading Texas land management companies, Peak Land Services believes that GIS Mapping makes managing projects more effective for both the client and the land broker. That is why all of our projects are supported with Peak Land’s GIS Smartmap Management, which means real time project status updates and key document and data sharing in the cloud, anywhere, anytime. Smartmap Management and Mobile Smartmap Management make your life simple. 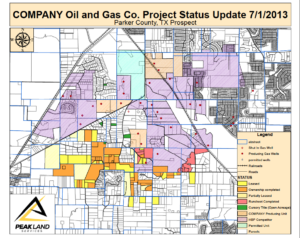 We use GIS mapping to create spatial relationships between documents and data related to the project at hand (leasing, title opinions, ownership reports, etc.). This means no more rummaging through row after row of file cabinets. By storing all of our maps and data in the cloud, finding the information you need is always just a click away, and can be accessed on any device, anywhere. Simply navigate the map and use the Identify Tool to click on a tract or parcel of land, and all of your files or extracted data related to that tract will appear. Take your maps and data with you into the field, make smarter strategic decisions, and add more value to your next project with Smartmap Management. 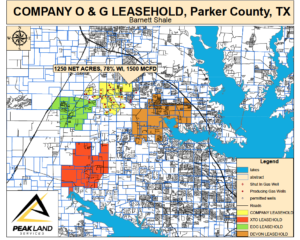 Whether it be a presentation for investors or marketing current assets for sale, Peak Land can create visually appealing maps that convey your message. Stay in the know on your next project with Peak Land’s Project Status Mapping, supported by Smartmap Management. For any of your land services need, contact Peak Land Services today.